It's the 17th day of the hunger strike unto death protest. I admit, I'm getting weaker day by day. But I assure everyone of you that I'm committed to this. This hunger strike will continue until Zahid is freed or I die. 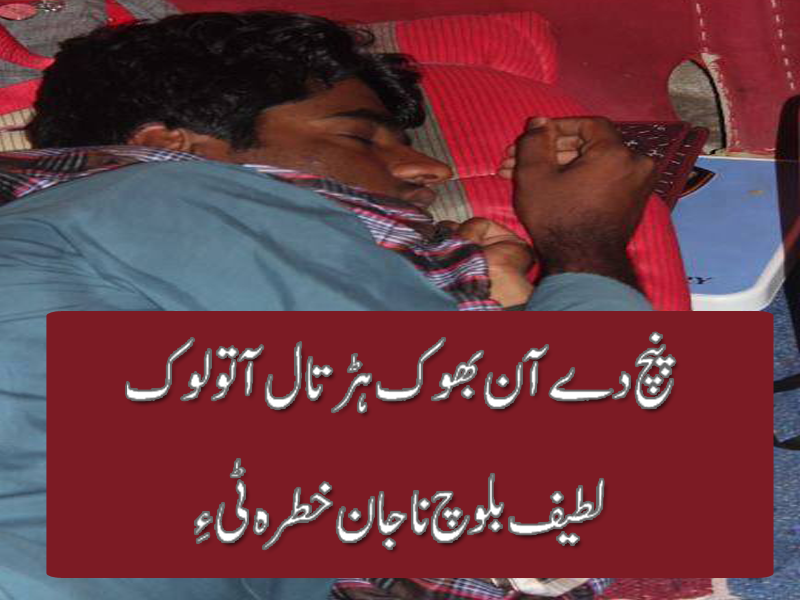 My protest is to highlight the sufferings of Baloch students. Why is this happening to them, who is doing it. I starve to let you know. Come stand with me and support us; in shape of protests, rallies, campaigns and strikes. Write, speak. Karachi: The hunger strike till death by CC member Lateef Johar of Baloch student organization is entered in 9th days, Several social personalities visited the camp and showed their sympathy with BSO Azad, Two days ago Mr. Ali Muhammad Talpur also visited the strike camp and requested to the Lateef Johar and Kareema Baloch to end this strike because this is a undemocratic state no one is here to listen your voice. 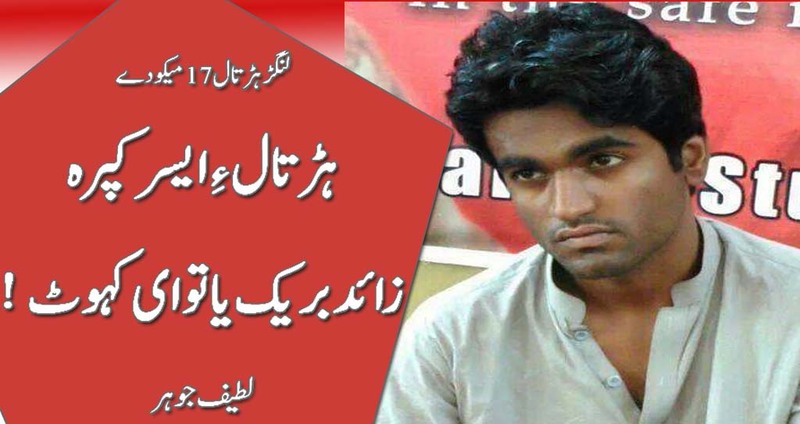 According to the sources the health condition of Lateef Johar is very worst he cannot stand without support. 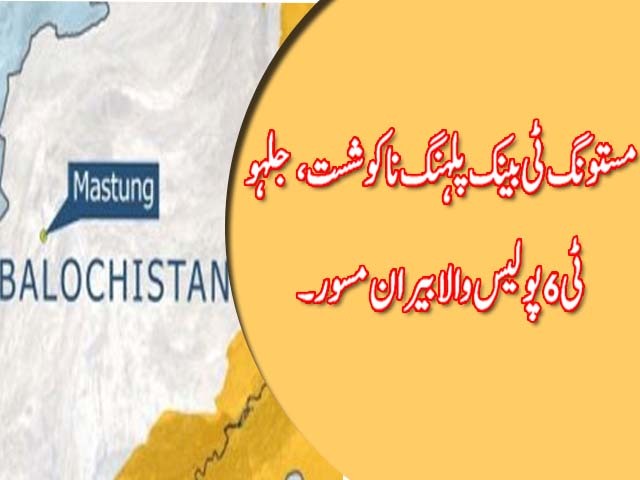 According to the initial report the cross firing between the bank rubbers and Mastung police, 6 Policeman and 2 bank robbers were killed. Assistant commissioner Mastung, Deputy Police superintendent Mastung were injured and 1 bank robber were arrested in wounded. 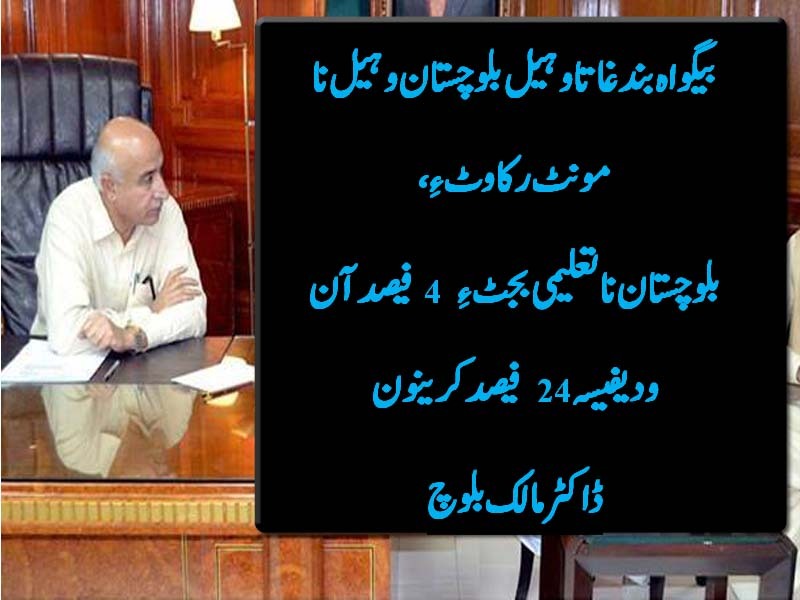 Chief Minister of Balochistan Dr. Malik Baloch said that they Government of Balochistan has increased educational budget from 4% to 24%, Here in Islamabad in addressed in International conference and said that Missing persons issue is a barrier to solve the Balochistan issue those who speak about Balochistan without any research I recommended them first they have to visit to Balochistan. He further said I wish 500 students would done their Ph.D in till 5 years. 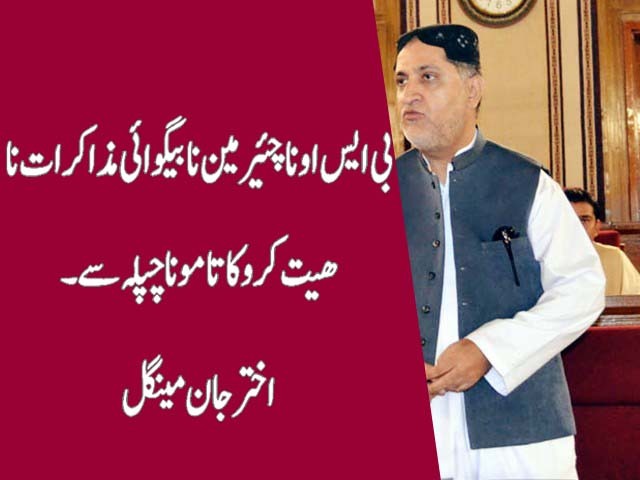 The central president of Balochistan National Party (BNP) Akhter Mengal says Government is not serious about Baloch and Balochistan issue, the kidnapping and missing of BSO leader is a slap on the faces of those factors who says law and order situation in Balochistan is controlled, Akhter Mengal further said Media and judiciary is not independent in this country recently attacked on Hamid Mir proved that. 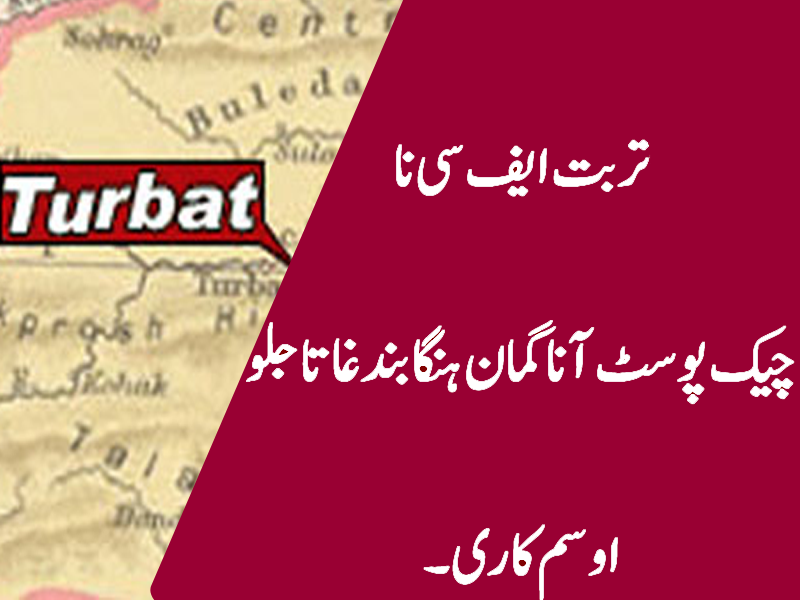 According to the reliable sources unknown people attack and fired on FC check post in Turbat city on yesterday. 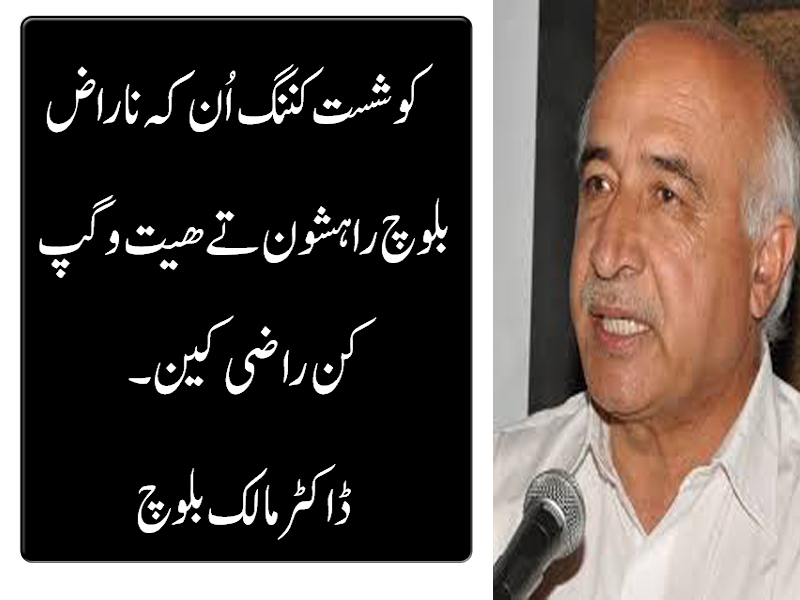 There is no human loss recored, FC started search operation to find out the attackers. پنچ دے آن بھوک ہڑتال آ تولوک لطیف بلوچ نا جان خطرہ ٹی ءِ. Bso Azad chairman Zahid Kurd aka Baloch khan is missing from 19 March 2014 after arrest by FC, BSO CC Member Lateef Baloch sat on Hunger Strike Till Death in front of Karachi Press club for the releasing of organization chairman, According to the reliable sources the life of Lateef Baloch in Danger due to the 5 days hunger strike till death. Baloch Nationalist Leader Zahid Baloch express that the life of BSO-Azad Chairman Zahid Baloch is in danger, United Nation Organization, Human Rights Organization and other Humanist organizations ought to interfere in Baloch Missing Persons issue, He further said from last 5 years hundred of BSO workers kidnaped and killed by State agencies, Vice Chairman Zakir Majeed is also missing from 5 years, He said CM Balochistan Dr. Abdul Malik Baloch and his team involved operation, bombardment and missing of political persons. 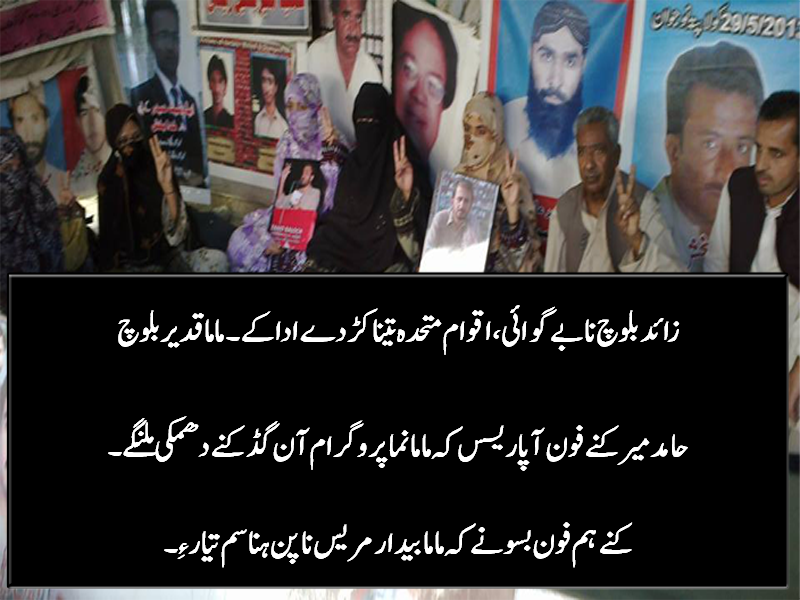 Mama Qadeer Baloch, The Chairman of Voice for Baloch Missing Persons requested to UNO and Human Rights Organizations To , Take Notice Against Missing Persons issue, Mama Says the life of BSO-A Chairman is danger. 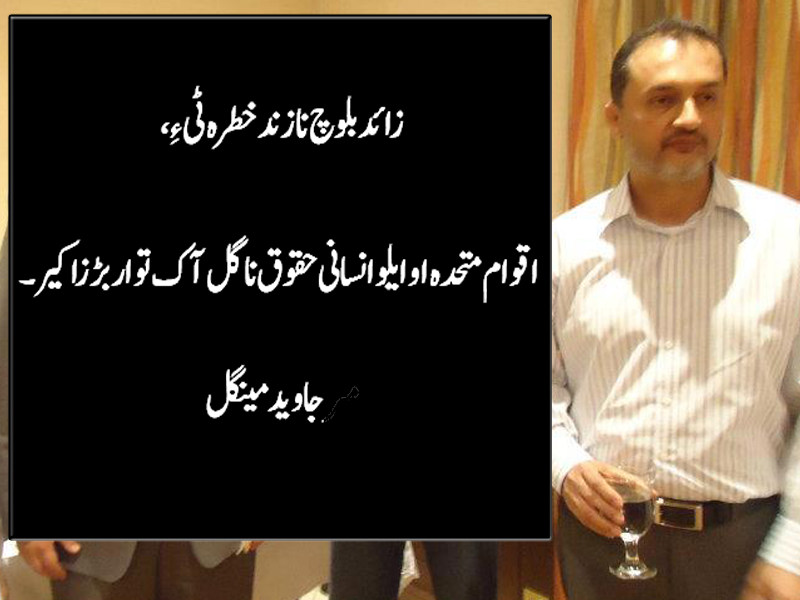 I have threat too, Hamid Mir told me before after your program I am under threat by secrete agencies.